Location: three-room apartment for daily rent on the street. Alexandra Arkhipenka (8-old Mate Zalka Street) is located on the ninth floor, in the prestigious Obolon area. Nearby (100m from the apartment), a non-stop Silpo supermarket is located; status supermarket "Good Wine" (300m); restaurant "Yellow Sea" (300m), pizzeria "Mamamia" (100m). 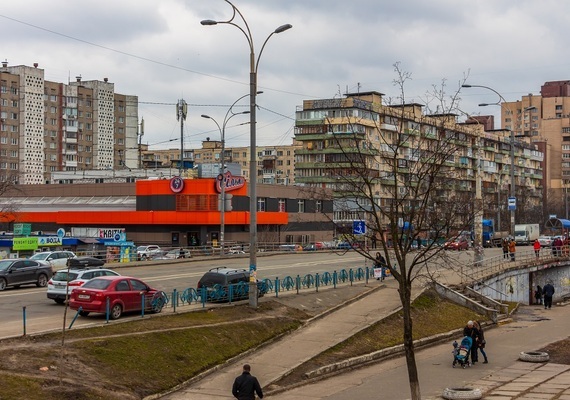 Convenient to transportation: Obolon metro (800m), parking - 800m (located along Priozernaya 2v); public transport stop (100m). Obolonskaya Embankment with city beaches - 300 meters from the apartment. Comfort and amenities: apartments with three rooms and a standard repair, have seven full beds, which are two double beds, a folding double sofa and a clamshell euro sample, which is exhibited at the request of residents. In the apartments - free access to high-speed Internet Wi-FI. Hot water, there is always (central water supply) an additional boiler is installed. Standard set of home appliances: LCD TV in every room, air conditioning, iron, microwave oven, hairdryer, washing machine, refrigerator, gas stove. Three-room apartment by the day. Alexandra Arkhipenko 8, rented with a full set of dishes, bed linen and towels, necessary for living. For utility payments - water, electricity, heating, internet - nothing extra is needed. 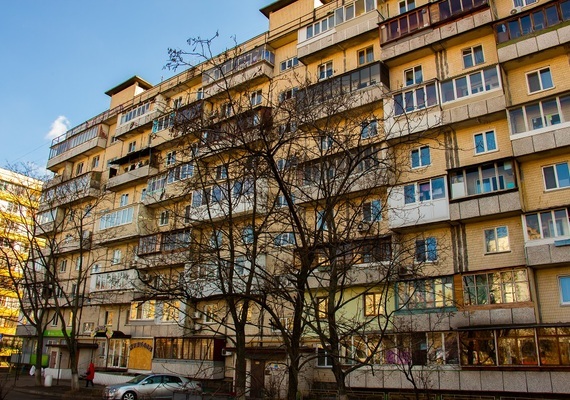 Recommendations: Accommodation in a three-room apartment by the day on Obolon, on the street. Alexandra Arkhipenka 8, will take no more than 5 minutes, if you do not forget to take money with you to pay for the whole period of your stay and a document proving your identity - rights or passport.